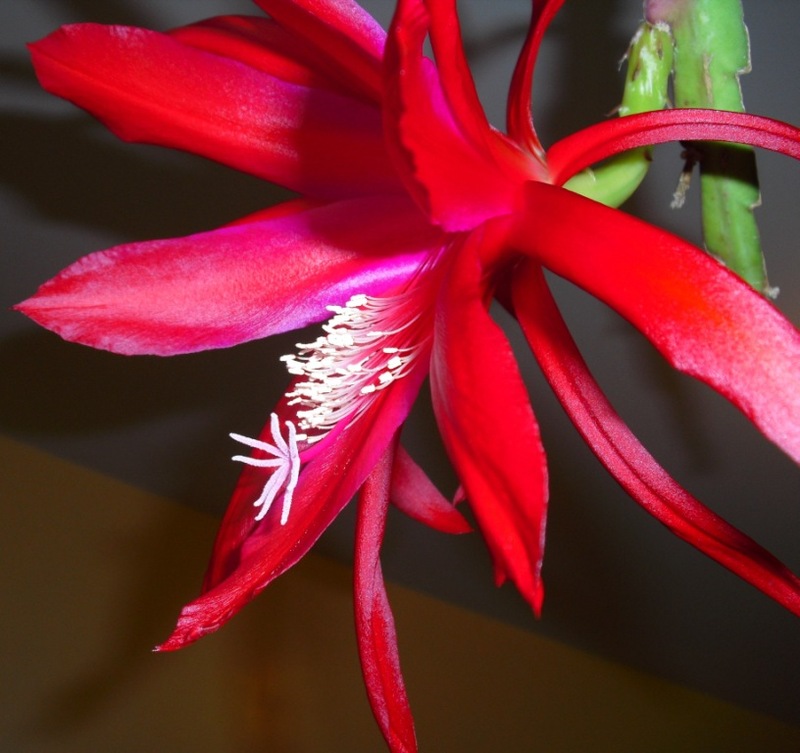 Late last May, I posted about my Epiphyllum 'David W. Grant', which was putting on an unprecedented blooming extravaganza. There were twelve flowers in all. Well, Mr. Grant has taken the stage again, this time with only a single bloom. But since there have been several years when this plant didn't flower at all, I'm especially pleased with the repeat performance in 2010. After a summer spent hanging in the tree outdoors, Mr. Grant is back in his usual spot in the spare room. (AKA the "Cats' Room", since that is where we keep their litter boxes and other accoutrements.) Perhaps, after a winter with the same care as last year, there will be a return engagement next May. Wow, that is spectacular. What a gorgeous display!